I spotted something amazing today. Nvidia fans can take a deep breath now. We have received two pricing updates so far: the first one at $313 Retail and the second one at $250 Retail. Now however, we have a third (and slightly more authentic) source: ASUS Strix. Well let me get down to it then. ASUS Strix is holding an event in Hong Kong, called “ASUS STRIX Techday 2015” on the 24th. While the memo for it might have seemed completely boring to some, the event date instantly prompted me to dig deeper. The event details (a copy of which can be found over at HKEPC) feature the usual marketing material and also a surprise giveaway with a blurred out picture. The most curious text lies under that, something along the lines of “the reader will be able to experience the yet unreleased Geforce GTX Graphic Card”. Oh what could this new and mysterious card worth 1560 HKD possibly be? The fact that they mention “Geforce Graphics” as opposed to naming a card plus the blurred out picture indicates that they are obviously talking about the Geforce GTX 960. 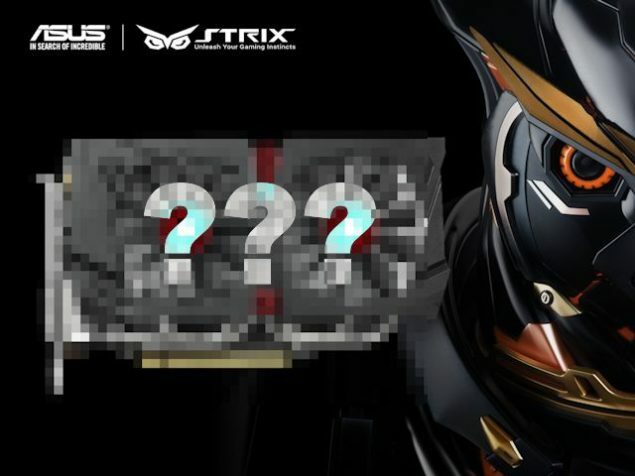 Now here’s the best part just below that the ASUS Hong Kong management has put the statement that “…have a chance to win ASUS STRIX new generation GeForce GTX graphics card valued (HK $ 1,560)”. And that, ladies and gentlemen is why you should never underestimate the Media. By simply converting 1560 Hong Kong Dollars to USD gives us the value of $200; $201.26 to be precise. I must admit that the 128 Bit bus width of the GTX 960 alarms me. However, I also have to grudgingly admit that the apparent overclocking potential of the card is a better deal for the $200 price point (compared to $250+). The $200 price tag for the base model is what I originally estimated ofcourse, so it does come as a relief. And because there is no possible reason (that I know off) for the GTX 960 to sell below retail in Hong Kong I think we can count on this as the most accurate update, effectively locking the price of the GTX 960. The mystery of the January 22nd Event is fading fast since we know more or less know what will be revealed. Lets see if Nvidia can still pull a rabbit out their hat.